1. 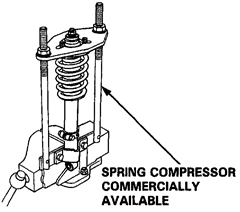 Install the damper unit, damper spring, bump stop, bump stop plate, dust cover, dust cover end, dust cover plate, spring mounting rubber, damper bushings, and collar on the spring compressor. 2. Install the damper mounting base on the damper unit as shown. 3. 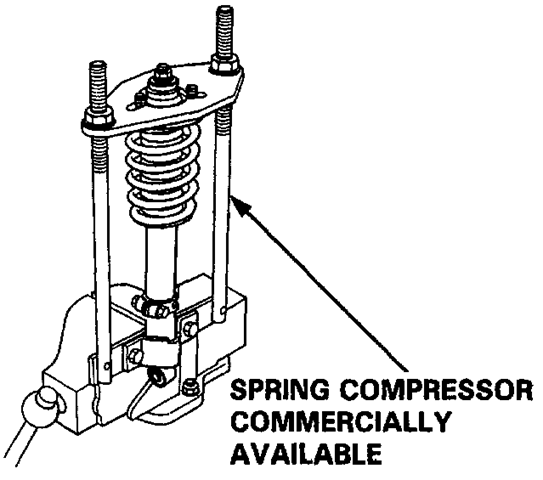 Compress the damper spring. 4. 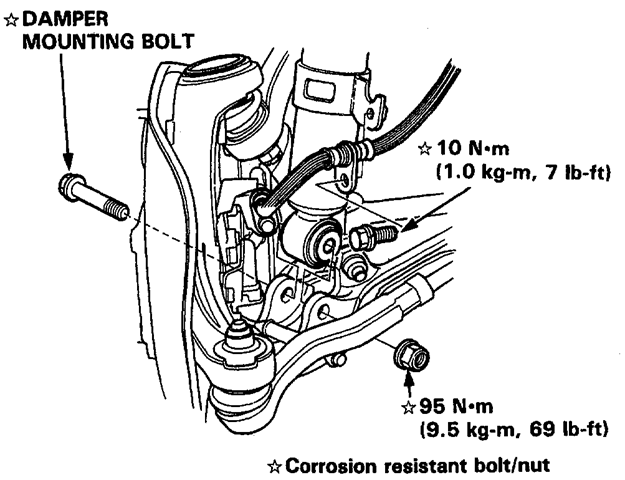 Install the damper mount washer and a new sel1- locking nut 10 mm. 5. 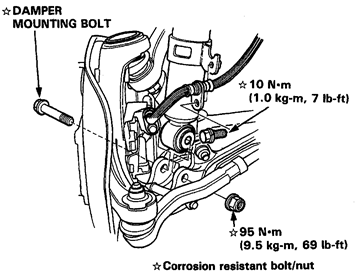 Hold the damper shaft and tighten the 10 mm self ­locking nut. 1. 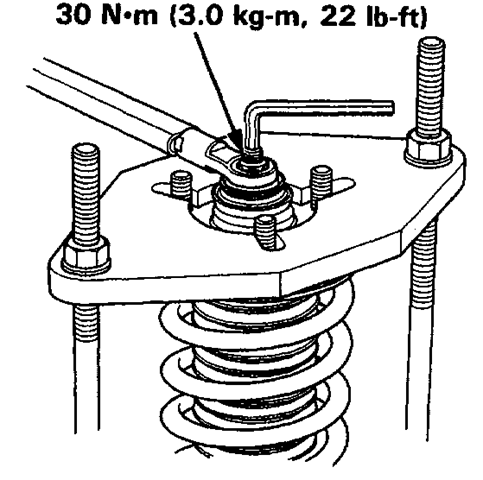 Reposition the damper on the frame with the weld­ed nut of the, hose bracket facing outside as shown. 2. Install the damper end on the lower arm and loosely tighten the mounting nut. 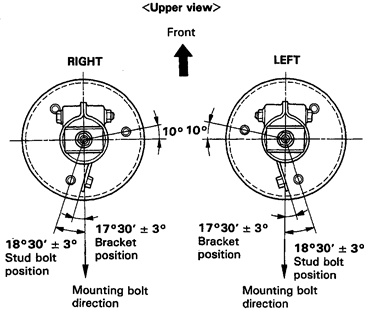 NOTE : The bolts and nuts should be tightened with the vehicle’s weight on the damper. 3. 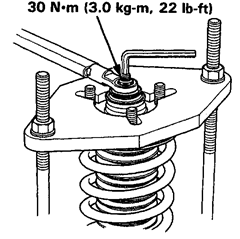 Secure the damper mounting bolt using a new sel1- locking nut. 4. Secure the damper assembly to the frame with the new three self-locking nuts. 5. 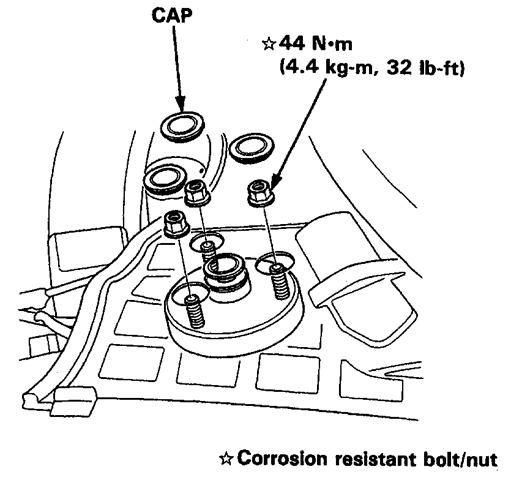 Install the caps in the top of the cowl. 6. 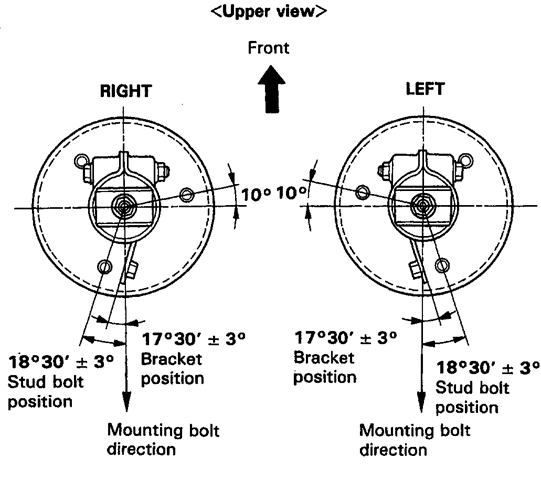 Install the brake hose clamps with the two bolts.